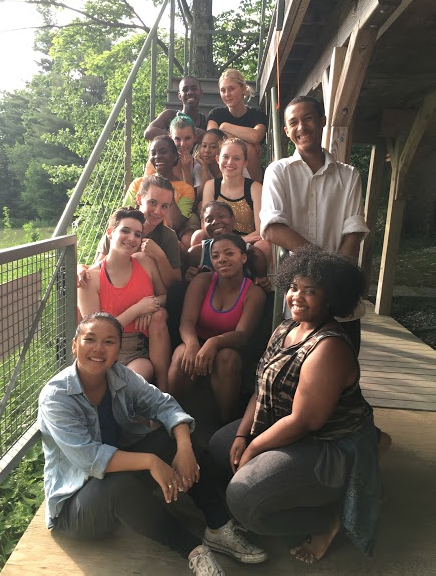 This past Wednesday, Dancewave Company, Dancewave’s top pre-professional youth ensemble, had the rare and exciting opportunity to perform at Jacob’s Pillow – home to America’s longest running international dance festival. 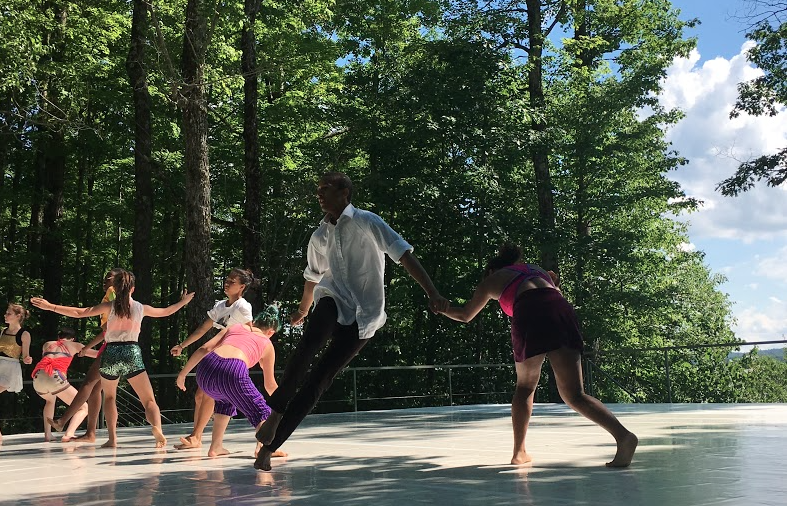 Jacob’s Pillow is hailed as the “mecca of dancing” (Time Magazine). The roots of The Pillow date back to the 1930s, founded by Ted Shawn and Ruth St. Dennis, pioneers of post-modern dance; The Pillow’s on-site dance archives date back as early as 1894. 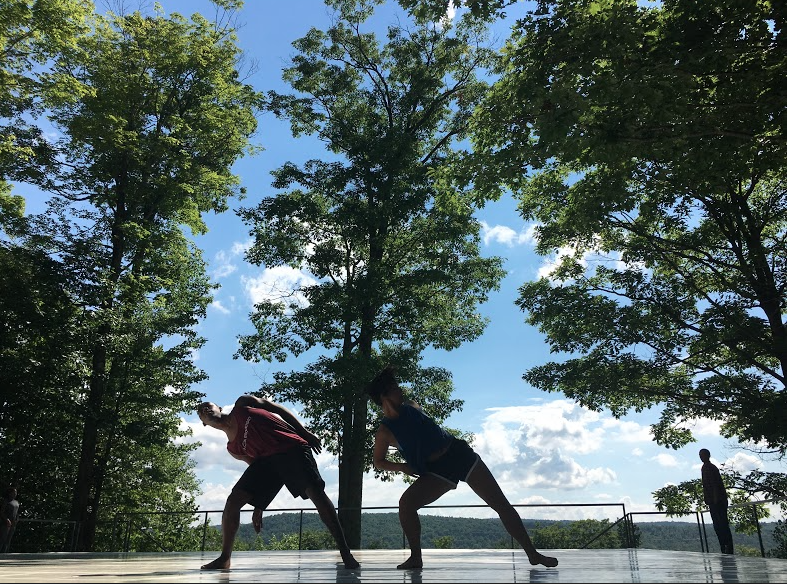 You can imagine our excitement when Dancewave Company was asked to perform at such a renowned dance venue, surrounded by and adding to its rich history. 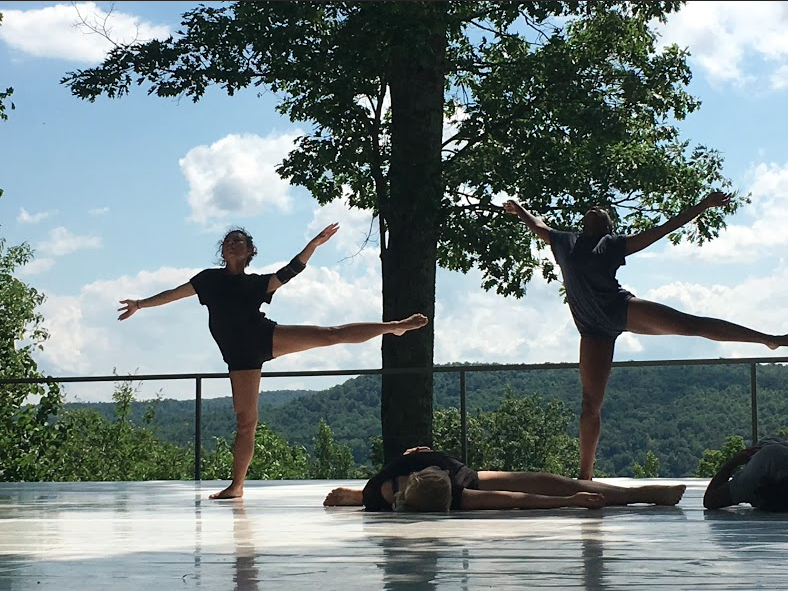 Dancewave Company (DC) performed on the Inside/Out stage, an outdoor theater with a breathtaking backdrop of green mountains. 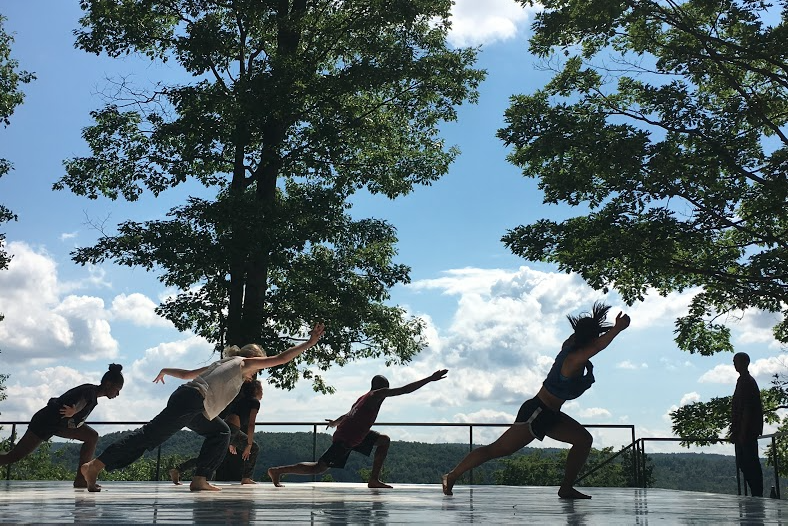 On the playbill for DC’s performance were their well-rehearsed but never-old repertory: Pupil Suite Opening & Finale by Andrea Miller/Gallim Dance, Pavement by Kyle Abraham/Abraham.In.Motion, and Snow by Andrea Miller/Gallim Dance. Pupil Suite Opening captured the audience with its off-the-bat high energy, quakes, and quirks — always a crowd favorite. 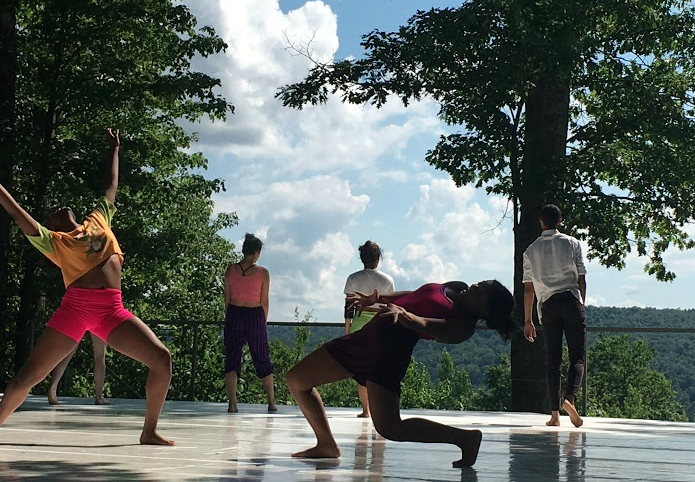 Shifting gears in tone — and costume — Snow followed, performed by Dancewave powerhouses Saya Baker, Tori Canning, Kiara Benn, and Meledi Montano. Through its urgency, desperation, and powerful dynamics, Snow depicts the struggle and pure strength of women whose political voices have been quieted. 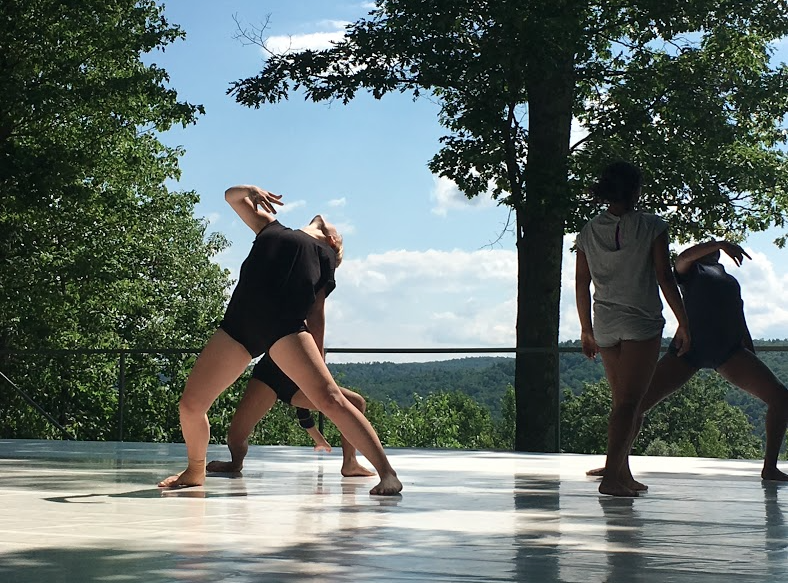 Following these four women was the full Dancewave Company with Pavement, presenting a dialogue on social justice and racial discourse through movement, poignant soundscore, and costume. To the close the set was Pupil Suite Finale; back in their colorful and bright costumes, Dancewave Company ended with vibrant dancing, and a standing ovation. This prestigious opportunity for Dancewave Company (DC) was complimented by the fact that the performances were highly relevant to today’s political/social climate, and our company students, as the rising generation of dancers — and functioning members of society — had the chance to bring that dialogue to such a wide audience. In a post-show discussion at DC’s open rehearsal the previous Monday, Dancewave Company dancers and Alum, who reunited with Dancewave for the “tour” to Jacob’s Pillow, collectively agreed that the issues each piece presents will never be irrelevant, therefore the movement is approached as a new discussion with each performance. 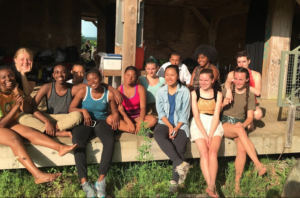 Each of our young dancers resonates with certain topics touched in the work they perform, and each dancer acknowledges it to be a privilege to have an artistic voice on these issues. For more videos & photos, follow @DancewaveCompany on Instagram. 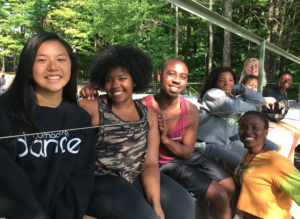 Make experiences like Jacob’s Pillow a reality for more NYC youth – Support Dancewave today.